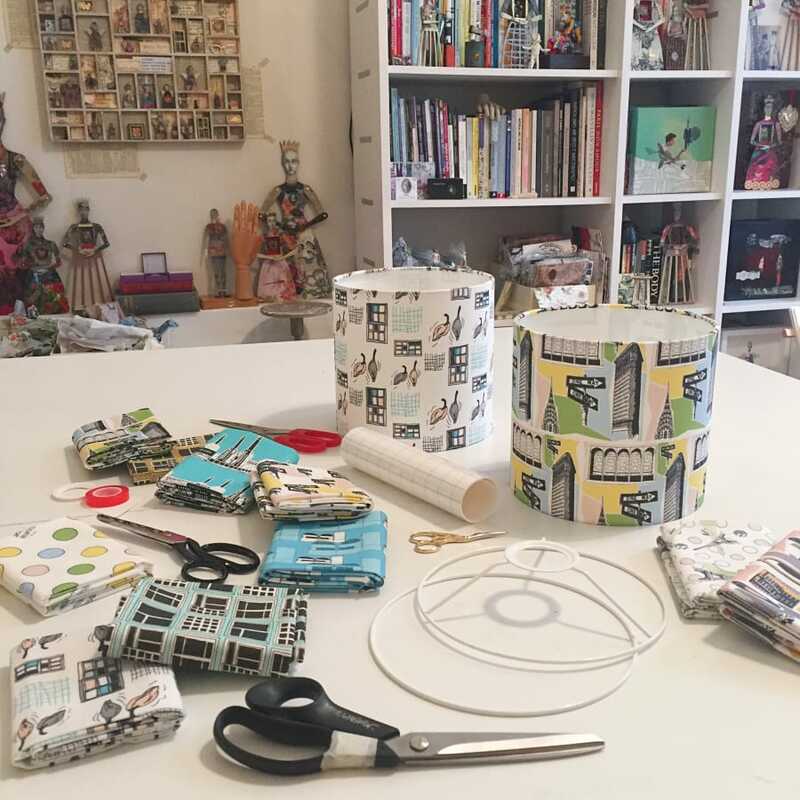 In this half day workshop you will learn how to make your own lampshade with Kate Marsden of Made By Mrs M.
You can choose from Kate's awesome Mid Century inspired fabrics or bring your own. The shade will measure 20cm in diameter so it’s perfect for a small lamp or ceiling pendant. When you book the workshop, you will be asked to select your preferred fabric, to suit your home. A professionally finished and personalised lampshade really finishes off a room! Kate's bold and colourful fabrics lend themselves really well to this, but you could make a shade to match cushions you already have, or with any other fabric you choose. Very enjoyable class. 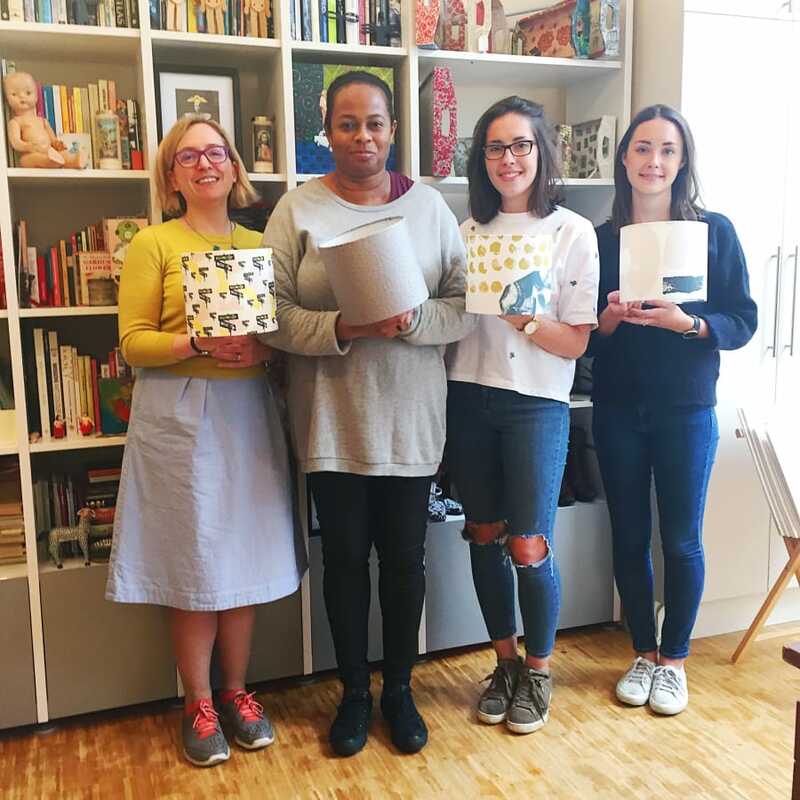 We all produced a high quality lampshade with beautiful fabrics from Made by Mrs M. Well timed and all tools and equipment provided. Would recommend. The cost includes all materials plus soft drinks and snacks. 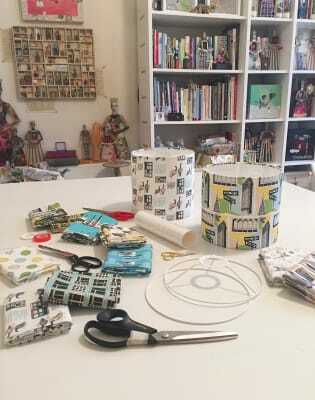 Made By Mrs M fabrics are provided but you can supply your own if you prefer (minimum dimensions 50cm x 70cm – ideal fabric choices would be cottons or poly-cottons – not too thick and without stretch).